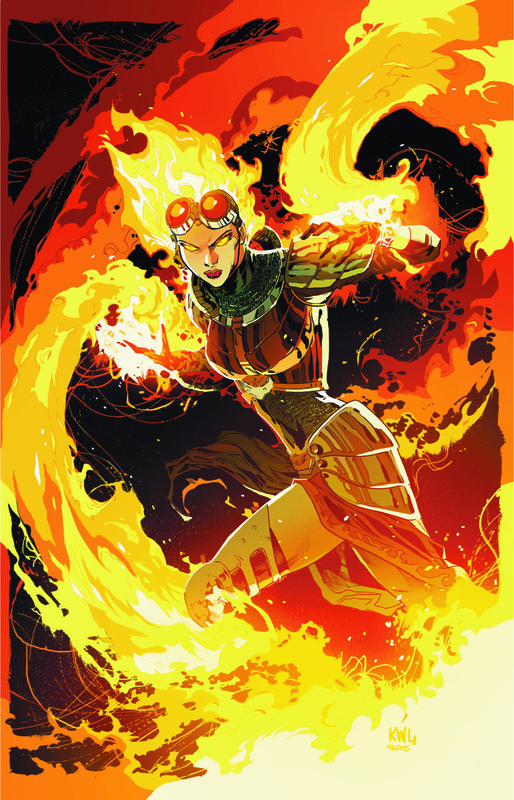 New miniseries by Vita Ayala and Harvey Tolibao spotlights a pyromancer named Chandra. The ever-popular card game Magic: The Gathering will return to comics this fall just in time for its 25th anniversary. IDW Publishing, who has released other Magic series in the past, will publish Magic: The Gathering: Chandra in November. Writer Vita Ayala (Supergirl, The Wilds) and artist Harvey Tolibao (X-Men, Green Arrow) will introduce a new character to the Magic mythos, a pyromancer named Chandra, who looks like she’s ready to burn a hole in your heart. This will be the fifth Magic series published by IDW since 2012. Prior to that, Dark Horse and Acclaim’s Armada line both published Magic comics.